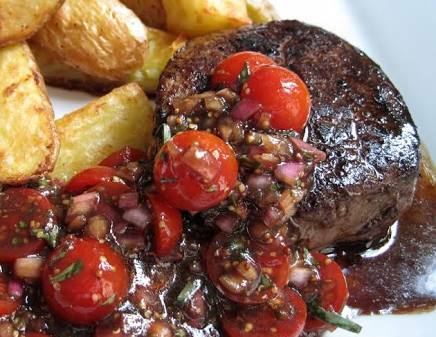 Tired of the same old, same old fillet steak recipe? Want t try something new? Something gourmet? Try this Bois Boudrin sauce for you next fillet. It’s spectacular with oodles of flavor. Perfect with oven baked sweet potato chips. You’ll make this again and again. Tenderloin of fillet, cut into medallions. Simply mix everything together. This can be done the day before, then kept covered in the fridge until required. Remove the sauce from the fridge at least 30 mins before serving.